This website is a tribute to Meta Seinemeyer, who died tragically of leukemia at the age of 33. She had, in my opinion, one of the greatest soprano voices of the 20th century. I believe that, if she hadn't died so young, she would be known as one of the greatest singers ever. Her voice is one of great intensity, and it possesses a certain poignancy, a quality that has been described as "tears in the voice", which makes it unique. 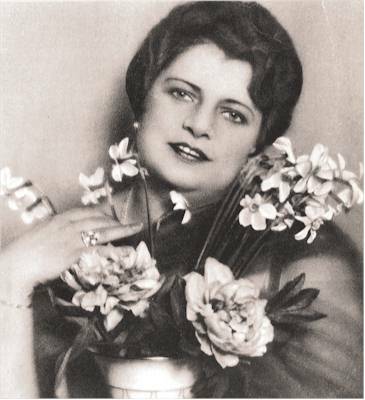 She was also quite versatile, and equally at home in the German and Italian repertoires. 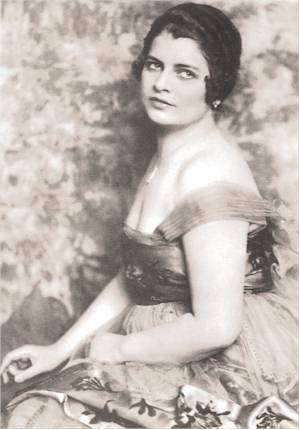 Seinemeyer was especially well-known for her Verdi roles, which included Leonora in Forza del Destino, Amelia in Ballo in Maschera, Aida, and Desdemona in Otello; she was a leading figure in what was called the "Verdi Renaissance" in Germany (I hope to include more about this later). But she also sang, to great acclaim, several Wagnerian roles, including Sieglinde in Die Walk�re, Eva in Die Meistersinger, Elsa in Lohengrin, Elisabeth in Tannh�user, and Senta in Der fliegende Holl�nder. In addition, she sang a great variety of other roles, from Mozart to Busoni. Her repertoire included at least 51 roles in 46 operas, quite a few when you consider that her career lasted only 11 years. She also made over 100 recordings, in which her incredible voice can be heard today. NEW! Editorial on the neglect of Seinemeyer's recordings by the major CD companies, and what you can do to improve the situation. NEW! Look at my memorial for Seinemeyer at findagrave.com and leave "virtual flowers" for her. On Friday, Sept. 30, 2005, Radio Suisse Romande broadcast a 2-hour program on Seinemeyer, which should be available in their archives for at least a month. More photos From the collection of Seinemeyer's sister-in-law. More photos Seinemeyer when she was very young, 1918-1920, including a signed postcard. Photos of Seinemeyer's grave Taken during my visit to Berlin in May 2004. Unanswered questions, and problems I've come across in my research on Seinemeyer (I need some help with these)! Eventually, it will also include pages on Seinemeyer's colleagues (including a page about her husband, conductor Frieder Weissmann). I am also planning to translate some pages into German (particularly the home page and the brief biography). My article on Seinemeyer has been published in the Dec. 2002 issue of The Record Collector. A copy can be obtained from The Record Collector at $10.00 (U.S.), inclusive of postage. My latest article on Seinemeyer has been published in the Spring 2005 issue of Classic Record Collector. The Winter 2014 issue of Classical Recordings Quarterly (formerly Classic Record Collector) includes a brief discussion of Seinemeyer's recordings in the article "Lirico-Spinto Sopranos on Record" by Joe Winstanley (p. 16-22; the part about Seinemeyer is on p. 21-22). Unfortunately, I no longer have a guestbook because people were posting spam. I kept getting an error message when I tried to delete it, and my service provider was of no help at all. But you can read the old guestbook entries. I will try to set up another guestbook soon. Thank you to Andrea Suhm-Binder of cantabile-subito for permission to use the photos of Seinemeyer.